Perfect for boating, RVing and patio grilling, this portable electric grill allows you to take your passion for cooking almost anywhere you go! Featuring a weather and rust proof, marine grade 304 stainless steel housing, this electric grill is guaranteed to impress. The nonstick, double coated grill grate provides 155 square inches of cooking area and is made of cast aluminum for years of use. 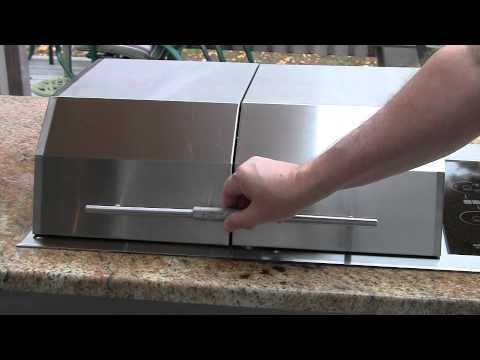 A single electric element is concealed for flare-up and smoke-free grilling. Pre-heating to a maximum temperature of 500 degrees in less than 7 minutes, this grill is quick and easy to use. 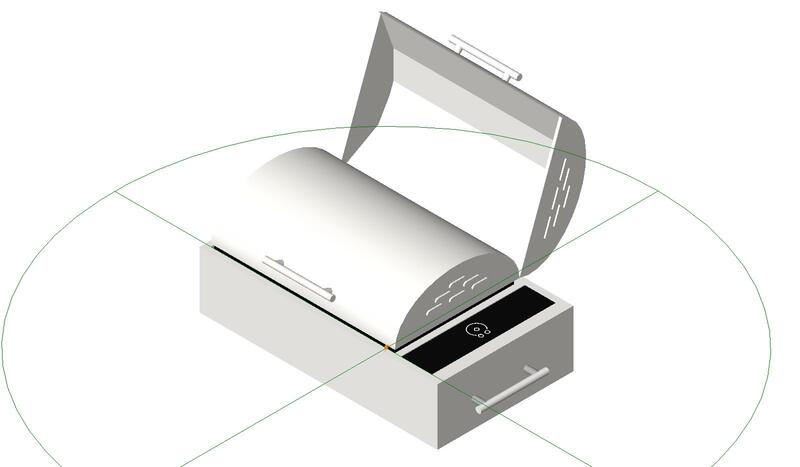 Underneath the element, is a disposable drip pan that also works great for adding a variety of liquids for additional flavor. To start, simply touch the ON/OFF sensor on the digital control panel and adjust to one of the 8 heat settings using the two heat control touch sensors. On the grill lid and on each side are stainless steel handles that remain cool-to-the-touch while cooking. The grill grate and lid are both easy to remove and dishwasher safe for easy cleanup. With an automatic shut off feature that turns your grill off after 90 minutes of being unattended and an insulated lid that helps prevent accidental burns, this electric grill promises optimal safety. This 240 amp grill is UL approved for both indoor and outdoor use. Cooking Grid Dimensions 14 3/4 X 10 1/2"
Kenyon warrants its products to be free from any defects in materials and workmanship for a period of three (3) years. Can I use the electric grill inside how about the smoke..? Hello. This grill is UL approved for both indoor and outdoor use. 14 3/4 X 10 1/2" 16 1/4 X 15 1/2" 14 3/4 X 10 1/2" 14 3/4 X 10 1/2"